Special Containment Procedures: Samples of SCP-XXXX, including seeds and two mature specimens, are to be kept in cryogenic biological storage at site B. No instance of SCP-XXXX is believed to exist outside of foundation facilities Any instance of SCP-XXXX identified outside of site B is to be contained and incinerated. Testing of SCP-XXXX is to be confined to on-site sealed greenhouse facilities. Following repeated attempted containment breaches by foundation personnel all non frozen SCP-XXXX test subjects have been incinerated and access to frozen samples requires 05 level authorization. Description: SCP-XXXX is a grain of the genus Zae, commonly known as Maize or Corn, recovered from ████████ Corporation on 05/12/1993. 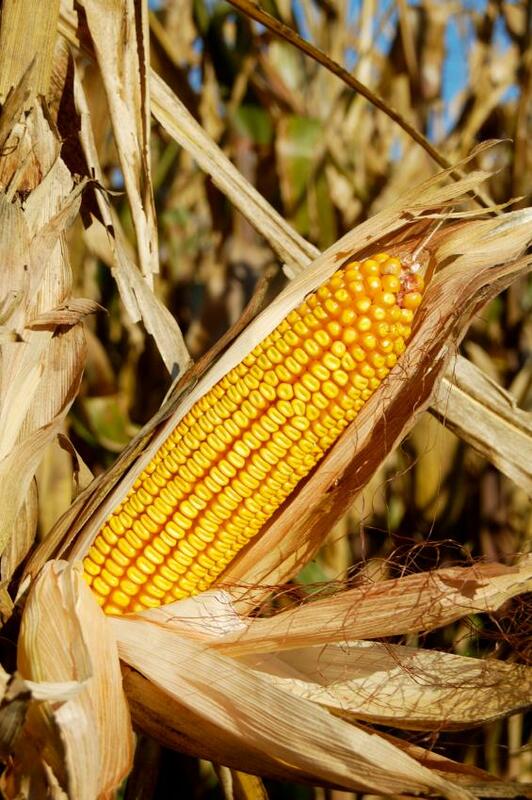 As in 85% of American corn crops, SCP-XXXX shows significant genetic engineering for improved industrial cultivation and herbicide resistance. Unlike other varieties the specific modifications on the SCP-XXXX genome promote a much more extensive root system and a distinctive bark-like stalk structure that has lent it the nickname 'Brown Corn'. A map of potential SCP-XXXX growing regions. Orange indicates ideal growing conditions. Yellow indicates good growing conditions. Green indicates poor growing conditions. Grey indicates regions unsuitable for SCP-XXXX cultivation. SCP-XXXX grows approximately 4.5 meters tall at full maturity, significantly taller than the 2.5 meters common with most species within the Zae genus. Individual plants have been observed to grow more than 30 cm a day during ideal conditions. The grain itself is similar in appearance to Zea mays var. amylacea, otherwise known as the mass produced 'Flour Corn', although more than three times the size. The grain contains caloric density 10% higher than currently cultivated varieties, as well as several nutrients not typically found in its genus. Consumption of SCP-XXXX has not been shown to have any adverse effects in subjects. Over consumption of SCP-XXXX has caused obesity, diabetes, and heart disease in some subjects similar to the effects observed from over consumption of sugar or corn syrup. SCP-XXXX shows significantly increased tolerance to arid and cool conditions due to its extensive root system and resilient cellulose-based 'bark'. Botanists estimate these tolerances could allow it to grow in regions normally unsuitable for the production of grain crops. Estimates suggest that cultivation of SCP-XXXX could expand the percentage of land considered 'arable' from approximately 10% for standard crops to over 40%. This increased tolerance also provides a wider growing season, limited primarily by the freezing of the topsoil level. Although SCP-XXXX's roots have shown to weather such freezing conditions the growth of the grain itself stops during this time. Addendum: After several researcher attempts to breach containment of SCP-XXXX all research into the subject is suspended. Greenhouse test samples have been incinerated and access to frozen samples now requires 05 level authorization. All staff are reminded that despite any perceived humanitarian or moral obligations the foundation's primary mission remains containment. Widespread access to SCP-XXXX would have unpredictable and potentially catastrophic socioeconomic and geopolitical ramifications. Originally thought to be an artificial creation, documents recovered during the seizure of ████████ Corporation assets indicate SCP-XXXX may predate the corporation itself. Although genetic engineering is present, specifically to make the species resistant to common herbicides used in mordern crop cultivation, current genetic engineering technologies cannot account for the level of modification to the standard Zae genome necessary to reproduce SCP-XXXX. 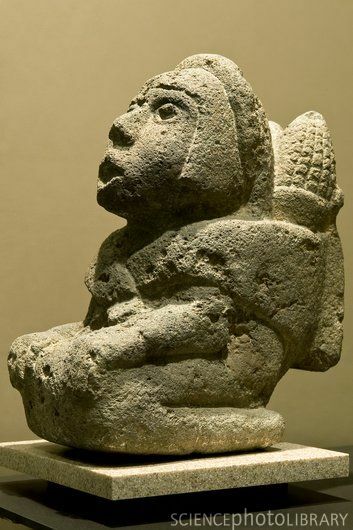 Documents recovered during the seizure, including a collection of journals from the 17th century explorer ████████████ (SCP-XXXX-1), and a stone statue dated to the Yucatan Peninsula 500 AD (SCP-XXXX-2), suggest SCP-XXXX may have been cultivated in the distant past. Research into SCP-XXXX's history, as well as the means by which ████████ Corporation obtained and subsequently restricted access to it, should be considered a top priority to ensure future containment.